Bicom Systems has been researching and integrating innovative Open Source Telephony Projects since 2003 to commercialize by unifying them with its Telecoms Management Softwares suite. Bicom Systems launched its PBXware software in September 2004 and became the first company to deliver an Open Standards Turnkey Telephony System. 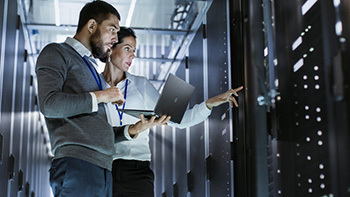 By unifying the best of open standards telephony and its own proprietary software Bicom Systems provides SMBs, Enterprises, and Governments worldwide with turnkey solutions that take into account clients’ exact needs within a very cost-effective framework. This mix takes the best of royalty-free software, vibrant open-source communities, available custom development backed up by accountable and professional support services brought together with commercially coded Management Tools. Warranted and supported – a safe choice for all organizations. 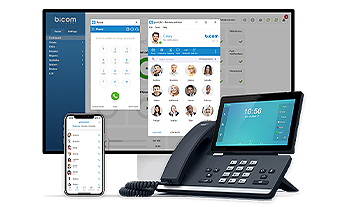 Since 2003 Bicom Systems has been researching and integrating innovative Open Source Telephony Projects to commercialize by unifying it with its suite of Telecoms Management Softwares. In September 2004 Bicom Systems launched its PBXware software and became the first company to deliver an Open Standards Turnkey Telephony System. To focus on the production of quality systems while building solid lasting relationships with local partners to achieve the furthest and fastest reach of our products. To liberate the world from traditional communication systems. The company recognizes the obligations it has to those with whom it conducts its affairs. This includes its employees, shareholders, customers, suppliers, competitors and the worldwide community. 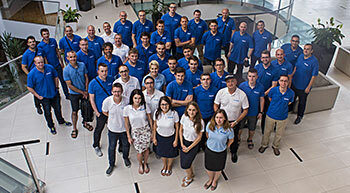 The company’s reputation, trust and confidence of its customers is one of its most important resources. prompt internal reporting of transgressions of the Code, and accountability for following the Code. Bicom Systems aims to provide consistent products and services that deliver fair value with reliable quality in exchange for a fair reward. Bicom Systems refuses to do business with any organization which does not adhere to the support of basic human rights. Bicom Systems understands that its obligation to its shareholders is fiducial and, as such, will make all efforts to act in their best interest. The company will communicate its business codes, achievements and prospects honestly and seek to protect the interest of its Creditors at all times. Bicom Systems will recruit and promote employees on the basis of merit and the individual’s suitability to do the job without discrimination, subject to local legislation. In recognition of the efforts of an individual in helping to create the success of the company, Bicom Systems will maintain a framework of fair and just remuneration policies and structures. Employees will not engage in an activity for personal gain which may be in conflict with the company’s business interests or applicable law. Employees must disclose any personal interest or interests of their immediate family members which could create a possible conflict of interest for the company. All commercially sensitive matters related to the company and a supplier will be confidential. Bicom Systems refuses to conduct business with any supplier for which the company knows or suspects that they use child labour in any manner. Receipt of gifts or favours by employees may be illegal or can give rise to difficult situations and may be construed as an improper inducement to grant some advantage in return. reasonable small tokens and hospitality may be accepted as long as they do not put the recipient under any obligation, real or apparent, do not contravene with any applicable law, may not be misunderstood or could not be offered in return in similar kind. Bicom Systems supports the conservation of the environment in all its available manners and understands that some resources are limited and should be used carefully. Transgression of the provisions of this code by employees may lead to disciplinary actioms, up to and including dismissal where necessary. Bicom Systems aims to facilitate employees to express genuine concerns about behaviour or decisions that they view as unethical. Bicom Systems encourages employees to promptly report any potentially illegal, incorrect and/or unethical behaviour they discover at their workplace or in connection with their work. If employees are concerned that reporting to their line of management may result in harassment, victimisation or undue distress, they shall contact the Company Secretary directly. We can and have deployed on every continent!